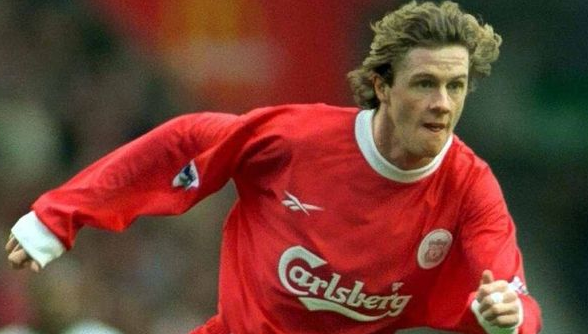 One of the popular English former professional football Player is named as Steve McManaman who played as a midfielder for Liverpool, Real Madrid, Manchester City and England National Team. He is well known English celebrity. He is famous for contribution in professional life. He had played for Manchester city, Real Madrid. His playing position is Midfielder. He played for Liverpool from 1990 to 1999. Altogether he played 364 matches scoring 66 goals. 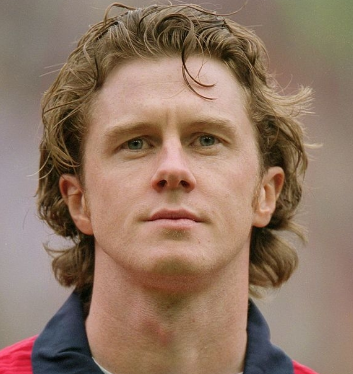 Passionate and enthusiastic player, Steve McManaman was born on 11th February, 1972. He was born and raised in Kirkdale, Lancashire city of England. He has not revealed about his family life. As he was born to English parents, his nationality is English. His astrological sign is Aquarius. At the small age, he began his career with football. He grew up being an Everton supporter. Steve has got a great personality. Talking about his body, his height is 1.85 m. His weight is of 72 Kg. He has balanced body with good health. He has attractive body figure. His smiling face and charming personality has helped him to gain the attention of all the viewers. Steve McMananman started his football career with the club, Liverpool. On 15th December, 1990 he made his professional debut for this club in a winning score of 2–0 against Sheffield United. On 21st August 1991, he scored his first ever professional goal with a diving header against Manchester City. He scored many goals and also collected a winner's medal in the 1992 FA Cup Final as Liverpool won with the score of 2–0 against Sunderland and was named as the man of the match. He was in this club for 9 years, playing 237 games and scoring 46 goal kicks. On 1st July, 1999 he shifted to Real Madrid and made this team debut on 22nd August 1999 with the winning score of 2–1 La Liga against Mallorca. He was in this club for 4 years playing in 94 matches and scored 8 goal kicks. On 30th August 2004, Steve forwarded his career in Premier League joining Manchester City. In this club, he failed to score a single goal in 30 appearances. But his earlier successes made him to end his career with all his three clubs with a total of 560 appearances and scoring 80 goals and 182 assists. Steve had represented himself in his national country, England in both senior as well as junior levels in many tournaments. On 16th November, 1994 he made his international professional debut for his national side with Nigeria at Wembley. Altogether, he won 37 caps for his national side scoring 3 goals. In 2005, he decided to retire from his football career. The net worth of Steve is estimated to have $18 million in 2018 with all of his properties and incomes. He is receiving an annual salary of $8 million from his present club. Previously, he owned a $7 Million house which he put it on sale in 2016. Steve is married man. He married to Victoria Edwards, his girlfriend who is a law lecturer and barrister. They married on 6th June, 2002.They seem to be very happy with each other. The couple makes public appearances together often. There is no any sign of Separation between them. They are living peacefully. They are also blessed with three children. They have daughters named Ella born in 2006 and Lara born in 2009 and a son Lucas James born in 2012.